Throughout the ages, many kinds of weapons have been used in combat aside from swords. When you want a functional weapon to use in your historical re-enactment or battle, be sure to check out the wealth of options available to you here at Buying a Sword. 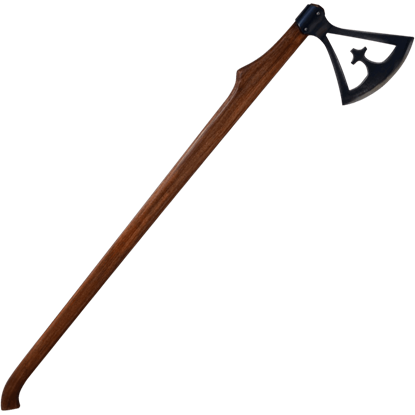 These battle ready weapons include functional daggers and functional polearms like war hammers, flails, spears, maces, halberds, and axes, giving you plenty of variety. These re-enactment weapons appear in many different styles, as well, such as medieval and Renaissance, Viking, and fantasy. Each of these historical weapons is crafted with attention to accuracy and quality to ensure that they look great while remaining hardy enough for use. Check out our range of medieval weapons to find the right kind to suit your needs! Based upon designs popular during the famed Norman conquest of England led by William the Conqueror, this 11th Century Norman Sword is a functional stage weapon that is perfect for your reenactment or stage combat from this era. The common view of Vikings and their weapons being simplistic, utilitarian, and plain is instantly disproved by this 11th Century Viking Sword with Scabbard, which is ornate and intricate in its design, as well as hardy and strong. The common view of Vikings and their weapons being simplistic, utilitarian, and plain is instantly disproved by this 11th Century Viking Sword with Scabbard and Belt, which is ornate in its design, as well as hardy and strong. The 12th century included the Second and Third Crusades into the Holy Land, including some noteworthy battles involving Saladin. 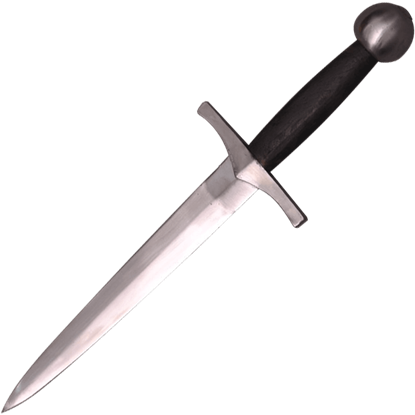 The 12th Century Crusader Dagger depicts one of the typical secondary weapons of that period. 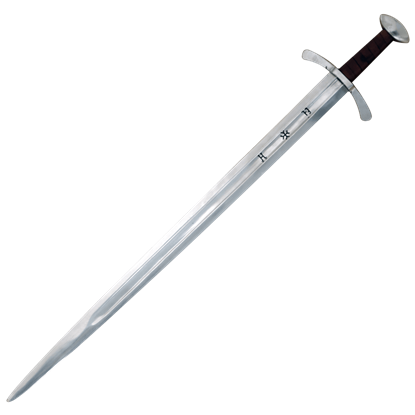 Our 12th Century Medieval dagger features a hardwood handle wrapped in leather. 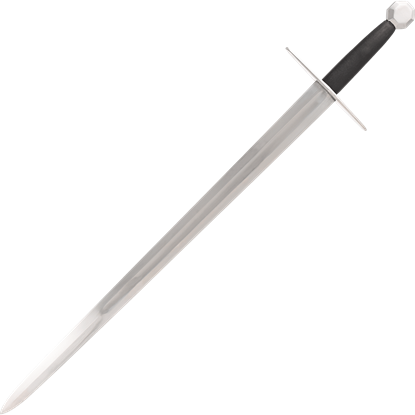 The crossguard and pommel are solid steel, polished and fitted onto a full tang that is peened at top of the pommel for strength and durability. 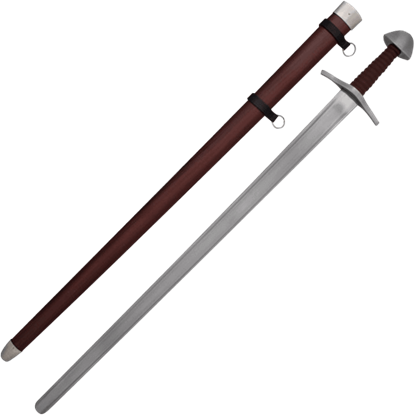 Our 12th Century Medieval Sword features a hardwood handle wrapped in leather. 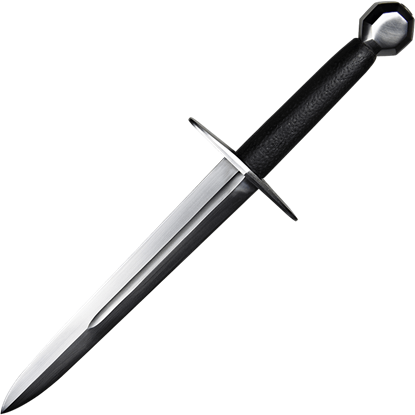 The crossguard and pommel are solid steel, polished and fitted onto a full tang that is peened at top of the pommel for strength and durability. As armor improved, swords were forced to change. This 12th Century Medieval Sword with Scabbard is an example of how they changed, developing into larger blades that excelled at slashing, crushing, and thrusting, all to negate a foes armor. As armour improved, swords changed. This 12th Century Medieval Sword with Scabbard and Belt is an example of how they changed, developing into larger blades that excelled at slashing, crushing, and thrusting, all to negate a foes armor.